Exceptional quality and excellent gems make this piece from Apples of Gold another outstanding work of art. 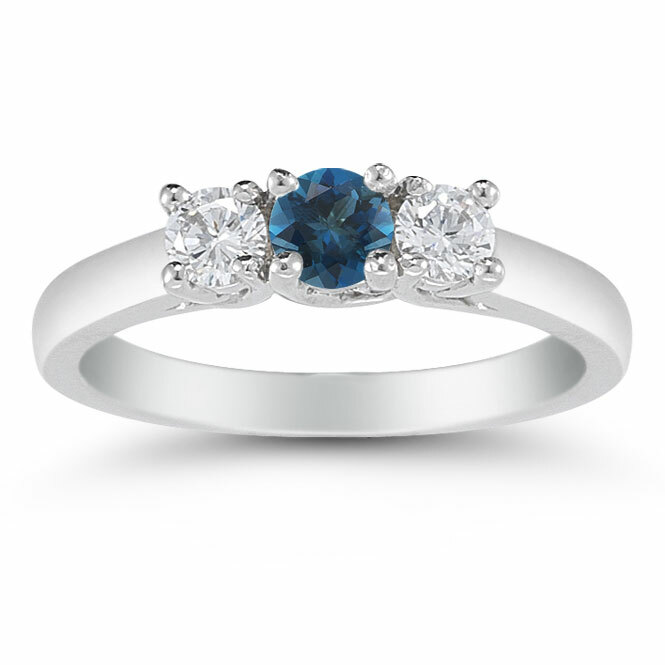 A marvelous London blue topaz gemstone crowns the ring with a rich blue hue. The round cut 4mm gem is the only splash of color on the ring, but it is perfectly balanced by the radiant white diamonds to either side. The 0.25 carat diamonds are also round cut and provide more than glint with their beautiful cut. 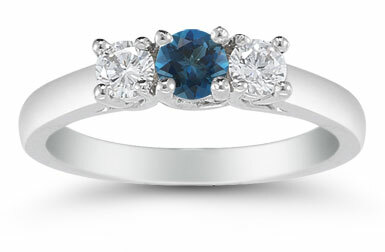 A white gold band keeps the London blue topaz as the main feature in this exquisite ring. We guarantee our Three Stone London Blue Topaz and Diamond Ring, 14K White Gold to be high quality, authentic jewelry, as described above.